We supply everything needed to repair and maintain an Outwell tent, starting with a range of special aerosol sprays. These include :Water Guard for improved water repellency; Clean Guard for dirt removal and Disinfectant Guard for eliminating odours and neutralising bacteria. Complementing these is the Fire Guard for fighting small fires; and Seam Guard solutions for waterproofing any leaking seam. 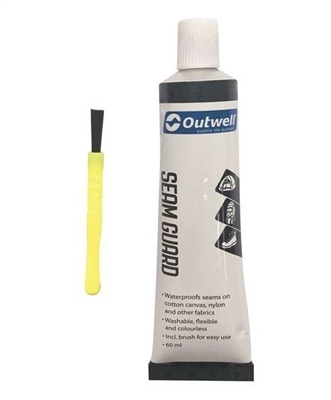 Field Repair Guard is the ideal multi-purpose repair kit for minor damage to flysheets, mats, groundsheets and more.